Recent title challenger Darren Till may be unsure what division he will be fighting in moving forward, but his nutritionist, Eoghan Gallagher, believes “The Gorilla” can fight at 170 pounds for a long time to come. 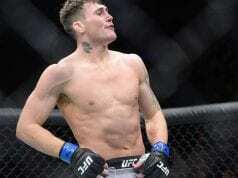 Till hit the scales the Friday morning (Sept 7, 2018) before his title fight against Tyron Woodley at a lean 169 pounds. The gentleman responsible for Till’s most recent weight cut is his nutritionist Gallagher. Although Till has the final say in where he will compete in the future, Gallagher believes the Liverpudlian can fight at welterweight as long as he wants to. 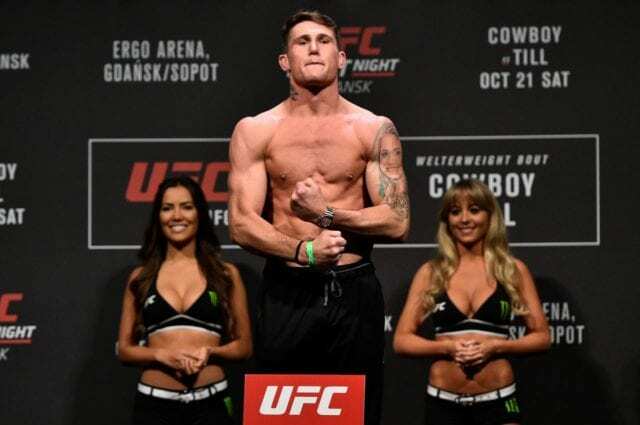 Despite Till’s past issues making weight in the UFC Gallagher believes that with the proper plan in place Till should have no issues what so ever hitting the 170-pound mark. Gallagher is confident that the more time he can spend with Till the easier future weight cuts will be for the Brit. Gallagher will be spending time with Till in Liverpool prior to his next fight. “This cut was super easy. The actual water cut itself did not take a significant amount of time. When he jumped on the scales and we saw 170, his teammate Mike Grundy and I were there, we were all together and it was a really emotional moment for us. We just hugged it out and we were like, ‘Wow’. Absolutely, Darren can make 170 with ease with the systems that we have in place,” he said.